I am seeking a mentor who can help with getting my song lyrics to the next level. I have had six of them demoed but now wish to get them into the right hands for recording. I ask only that you keep in mind that I have very limited funds available for said purpose, and perhaps advise me about the possibility of where to get a business loan for said purpose, or be able to provide leads to places to get known without, as the saying goes, breaking the bank. I have recommended http://www.eyeball-records.com as a good budget place to get basic demos done. Last edited by Ray E. Strode; 05/20/15 03:41 PM. I am curious enough to want to listen to the demos. Are they on line? Depending somewhat on genre, I think Marc Barnette on this board (aka MAB) is someone who has the tools available to introduce you to the people you need to know, probably by taking one of his tours of Nashville. Other than that, I think everyone here is trying to do the same thing as you. Don't take a loan out. Unless you move to Nashville you have zero chance of getting a major cut and making enough money to come out even, or even profit. But if you want help in getting your songs to the next level you should check out songtown.com hit writers over there will help you develop your craft. They also might have connections to get your songs heard by artists. If the song fits them, that is. It's a subscription service. Try it for a month. Last edited by AaronAuthier; 05/20/15 06:42 PM. Hey Beechnut....PLEASE don't spend ONE DIME of money you don't have as it is HOPELESS and USELESS. It's a bottomless pit and there IS no room at the INN. YOU and Millions are ALL trying to land on the head of a pin and THAT Pin is very sharp and ugly. Beechnut, you are really asking the ten million dollar question. "how do I get these into the hands of people who can DO SOMETHING." Everybody wishes they could find that question. But there are some real reasons why you can't no matter what you do. And why you don't go spending a lot of money on this stuff. Everyone that moves to Nashville, LA or New York are sacrificing a lot. They move away from families, jobs, more comfortable lives, to start over, deal with multiple jobs, trying to find some ground AND write, record and perform songs. It is often completely futile because no matter how talented someone is, no matter how good the songs are or the singers are, sometimes it just doesn't happen. Everyone can't be stars. That is the real world. Then there is the "inside cut." The people who have done that for years, built those contacts AND ABILITIES , are trying to get their OWN songs out there. Since money has dropped off the face of the earth in most music, they are not going to give up what little they are getting to let someone who has not done the same things they have move in line in front of them. You are going to run into that no matter what you do or try to get your songs to. There are professional song pluggers, but the really good ones only represent a few people because their reputations are everything. They get the appointments because of those reputations. There are "song services" but they have terrible reputations because they will take....well they'll take anybody and anything. That does not speak well for reputation. There are film and television libraries but those are spotty at best. The best known is TAXI and you are going to hear a lot about those on here. So what do you do? Well, in my experience, if you are not finding and nurturing your own artists, building those relationships,writing with THEM, finding them in your own area BEFORE they get a shot at the big time, you are not going to have a lot of "nexts." There is no where to go with most music. It is just the way of the world. Artists are striving to say their own things now. They are writing their own music, emotions, experiences, they don't need or want yours. Everyone is in the game now. The Internet has millions upon millions of artists and billions of songs. They are everywhere and almost none are earning any money. YOU TUBE uploads seventy five miles of videos an hour. Those people would like to get their songs somewhere too. Yes, one of my songwriter tours, would help you understand all this and introduce you to some people, but you would need to come here. I am happy to do some back and forth personal dialogue online or by phone that won't cost you a dime. As a result for your participation on these threads, I would be happy to listen to your strongest song and give you some feedback.If I have to start digging into a lot of time, that is what I am paid for, but I do an evaluation for anyone for free. My involvement in these forums are part of that. Trying to give some people some information without breaking the bank. I think you should save some money, make a trip or start an artist outreach in your home area. I think all writers now are having to become FARM TEAMS, for artists. We are having to find them young, find them before they get too far along. We are trying to help them say what they want to say, and what we want to say, but do it in their voice. I can show you how that pays off. In the audience for Meghan's performance on the Voice was a woman from Green Bay Wisconsin named Julie Moriva.She has been one of Meghan's best friends for ten years. She has supported her for years, as a friend and financially at times. They are like sisters. When Meghan won her first reality television show, Can you Duet, with her group STEEL MAGNOLIA, Julie was there. When they got a record deal with their song KEEP ON LOVING YOU, Julie had five songs on that CD. Julie had her own writing deal on Taylor Swift's BIG MACHINE publishing company for two years. When Steel Magnolia were on tour with Reba and Brad Paisley, they did it with Julie's songs. Julie went out many times with them and made many contacts. All without moving to Nashville. And the other night? Monday night Meghan debuted her song "CHANGE MY MIND" which was written by Julie and another student of mine, Dee Briggs. It was number one in downloads on I tunes the next day. Not bad for a retired Wisconsin school teacher and her friend, a young artist from New Orleans. It can happen. Does happen. Look at every major artist and into their past and relationships and you find those exact same things with friends and associates. Now you have to find yours. I thought I'd jump in here as well to leave my five cents. First off - do not ever spend any money you don't have on any hobby. That's what music is to you at the moment - A Hobby. If it ever becomes more - nobody can tell. What MAB wrote is right and I fully support his words - when it comes to the Nashville scene! Other than that - no he's not right. You can't compare the music industry in Nashville to the rest of the US or even world. Outside cuts are hard to get by NO MATTER WHERE - but they are not impossible especially when looking at Asian and European markets. Advertising cuts are also very much possible - even as an outside writer. It certainly isn't easy and 99.9% or all people who try will not make it. And that's the reason why 99.9% of all people you meet will tell you not to try because they did and failed. But yet, there is this 0.1% of musicians that do break into the game - be it for advertising, film, tv or artist placements in ANY region (again - might not be possible in Nashville - but elsewhere it is). But, to stress the fact once again - don't look at loan options for this purpose. Work hard, network hard, keep your eyes open for opportunities and only spend what you can afford. Treat it as a hobby until it is more than a hobby. I haven't spent a dime on anything other than studio equipment, built up little by little when music was a hobby. Took many causal jobs and interns at studios until I could call myself a full time music professional and I'm sure MAB's story won't sound much different. https://tunedly.com - Connecting you to the world's best session musicians online. Sad BUT True....Got a good title from this though. You are correct, I don't work in other markets, have no interest in them. Most of the people I work with COME FROM THOSE markets, including Europe. And many of them have been involved in those markets, getting cuts, having deals, even owning companies that do that. Most are coming here because a majority of what they were doing is gone. That is the primary interest in Nashville and why so many people including rock people are coming here. To me it is simply a matter of time before any outside cut whatsoever is gone. The things that are happening now are going to be very normal then. Just trying to stay ahead of the curve. I don't think that the majority of what they were doing is gone. Maybe they didn't go with the time and now look for alternative markets to get into. Nashville is great for what it is - Country. It will never be the focus point for Pop, Dance, R&B, EDM, you name it. London is too big, Tokyo is too big, NYC is too big, heck even Berlin is bigger for some genres than Nashville is. Look at Taylor Swift - produced a huge chunk, if not even the majority of her album in Sweden with Max Martin. I'm sure he has no interest in going to Nashville - People looking beyond Nashville go to him. But those markets evolve fast. They are very fast lived. You're on top one day and the next you're forgotten if you don't go with the trend and evolve with the industry while I believe if you establish yourself in Nashville, it might be a bit more long term. Gee, Marc, an awful lot to digest. But your paragraph about farm teams suggests that we might be able to take a page out of the baseball teams' book, as they often develop the players out of their farm system. But probably not more that 25 to 30 percent make it to the big leagues. (My guess with no stats to back up). My goal isn't necessarily the big leagues but still have to dream that someday one of my demoed songs will at least get recorded. I really don't have a thirst for the limelight. If that does happen it will be gravy, but not sure it will have a great taste. 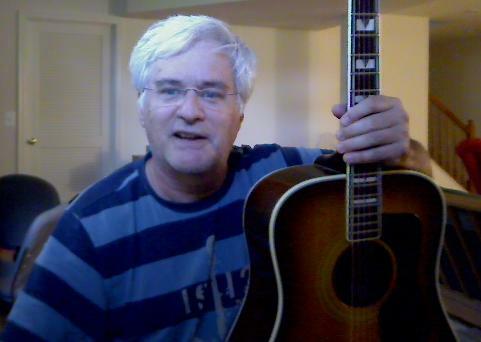 My completed demos are at www.soundclick.com/brianbeecher. Will take you up on your offer but have no deadline. If I ever did do the loan thing it would be for no more than about two thousand at the beginning, to spend on some marketing and publicity. At least the monthly repayment would be less than a typical car payment is! If I may ask, what do you think that $2000 is going to buy? Your competition is spending around $1200 per song on the demos, and demo a lot of songs, although now they are almost exclusively promoting artists they are involved with, so they pitch the songs and the artists. I don't know of anyone just doing "demos' anymore. Also the writers you are competing with spend around $1500 per month on song pluggers. Often on songs that earn nothing. So if you want to go borrow money, it would be a good idea to think past the song itself. Working with artists in the development IS having your songs recorded, and for the most part aside from what some people claim, that is really about the only way now. Again, I hear about a lot of outside cuts. I keep them in the file with Bigfoot, the Loch Ness Monster and UFO's. Someone ELSE always seems to have them. Far be it from me to criticize the work of others since I don't have a pile of successes to give me credibility as some do.....but since you asked, and since you posted links to listen to, I am going to give you my opinion which you can feel free to ignore or embrace. Please don't hate me for it...I am trying to save you money which you said is in short supply. I listened to three of your songs. The recording quality is good and the overall sound is pretty good. I don't know who created the melodies and the chords but they sound very generic and in one case, very repetitive. I know the lyrics are yours. In my humble opinion, they are not very rhythmic and musical, and much of the writing is totally out of touch with what is wanted in today's music. The writing sounds very dated, the expressions you use are not current and the story lines not interesting to most people. I wouldn't spend any more money on these songs unless you have money to burn. I think you would be better off to listen to a lot of songs in the genres you like and try to write in the appropriate style. Perhaps you can rewrite these songs and have just the vocals and lyrics replaced. I would tend to agree with you Colin. In the songs I listened to, are mostly very much like there is already a lot of. Some were in the vein of the "Zac Brown" band, but not quite as memorable. When we listen to songs here, we are basically listening for those things that really ZING us and stand out from most of the other things we normally hear. Most songs are not nessasarily good nor bad, just many things very average. In today's market, it is not that people are listening to songs for anything other than what they don't already have a lot of. These mainly fall into that category. Industry people, publishers, pluggers, artists, producers, are really listening to the first few lines, see if they hook into the chorus, see if the musical patterns drive us to listen to more, and that just didn't happen here for me. And it doesn't in many songs. There's not a thing "WRONG" with them Brian, just not a lot that stands out. The lyrics do sound a bit older than most of the artists out there that would be in the running for some sort of deal or that they are writing themselves. And that is ultimately the deal. People are always quoting about "The crap that is on the radio and how their songs are as good or better than that.' And that might be true.The problem is that they are usually writers on that material or have some tie to it, through their companies, their friends or their personal situations. And that brings me to the main point that I have with the songs themselves. They all sound to me like SONGS, and not REALITY, which is the real driving force behind getting songs considered to be cut. And again, why I continually beat the horse of finding and writing with artists themselves. To find the truth and reality. As far as 'not craving the spotlight," Brian, you are in the right business, because writers are NEVER in the spotlight. And in this day and age, when almost no songs are earning ANYTHING,the "rich and famous' part is pretty much gone as well. And Brian, you are correct that VERY, VERY few will ever reach the big show. More and more are finding their own niche in smaller more regional markets and that would be my focus. You see, I would prefer a well written, personally directed song written WITH an artist who was performing it, putting it on web sites, actually doing something WITH it, than some well recorded but forgotten blip on a radar screen song put onto a web site or YOU TUBE, that is gone the second it is put up. Or to fade away into some pitch service promising "film and television cuts." Or sitting on my computer only to play for my friends or on a reverbnation or Soundclick page. There is nothing wrong with any of that and it is a nessasary evil in today's market,but I prefer to up the level of my odds as much as I can. So, I do agree with Colin. I personally would not commit any more resources on these songs. They are nice, well recorded as is, and represent what you are doing well. If you were to want more permanent record of where you are at this point in your career, then that might be a different situation and you might want to pick your best, get a solid $500-$650 demo on them just to hear your vision come to fruition. Other than that, if I was going to spend that kind of money, it would be with an artist involved. That is actually what I do on a daily basis, try to help artists get their visions funded. Not an easy task, but it is required. Brian, you have to decide your ultimate use and goal for the songs. But borrowing money on something that is probably never going to pay anything back doesn't seem to me to be a good allocation of resources. Whatever you do, make YOURSELF happy. Don't look to a response from others. You are a good writer,just need to expand the people you work with, in my opinion. Last edited by Marc Barnette; 05/29/15 02:01 PM. All the above is why I do Creative Audio Editing for Podcasts more than anything. (And just do my own demos for no other costs than the electricity it takes to run my I-Mac and lights in this room). Demos also done mainly because I have to get my creative results in a tangible form, or they will just play in my head until I do! I do not have my feet planted in an area where the people in the business of music are, to be able to try to fit in some of the circles of professional friends. I do not follow the pro genres closely enough to be able to write for the current "needs" of any of them. 1. Know the music business, and to know what it takes to be involved personally with those in the music business. To know your genre inside and out, professionally. 2. Objectively comprehend your skills/craft compared to the pros doing it for a living. Then work more in all ways that you should already know, to be able to get your knocks on the door opened with an anticipating smile. ...So not to spend money that will most likely just have you end of with nice demos to play for family and friends, after those songs are exhausted being checked out here and elsewhere for fun and ego and maybe some learning if being open minded. But, a lot of songwriters have hits already, so.... That can often lead to not really having any of the above fully realized or understood. See? That is a result of me now working with the skills in several areas which I accumulated through the many years of trying this and that, while before, thinking I had hits and just needed some demos to "show them" Ha! So, at least the process that many of us go through while thinking we have what it takes, CAN lead to actually doing some work with our accumulated skills, IF we have finally the will to be honest with our status "within the business of music: and start actually working on things that can earn us some money, to also be able to work on music that we love so much. I did that through offering to be an Audio Editor for our own Glynda, (Glyn), for her "Hearts of Country" interviews of other JPF members. I then offered to do that for Robert Wenzel, (a well known economist who happened to have my son in law do things for him for free at first). I offered to do one interview for free, which landed me a steady paying job with Wenzel for all his interviews since. (Be valuable to someone)! I then offered to do one free interview for Marc Clair, (Lions Of Liberty"). That landed me steady paying work for the past 110 shows so far, (doing two a week now for Marc Clair)! That is reality folks! "Working" with the skills we have accumulated while maybe doing our writing, dreaming, demos, dreaming, knocking on doors, dreaming, playing out at coffee houses and clubs and open concerts for free, dreaming, etc! I no longer dream that much, for I do not have time to be in that zone. The working WITH my accumulated skills is a dream come true in a way. Did I have hits on radio or online to the masses? NO. Did I earn money from all those years trying this and that? NO. But, I did learn a lot, and am now using my experience to still do music/audio, and even in spite of having Chronic Tinnitus and Hyperacousis. I had to, or rather, choose not to keep playing in my 2LT band after getting both in 2009. (Iggy, from here, can also call 2LT his band, of course). So, either really get to KNOW the music business and DO all that is usually required to DO to have just a slight chance of working it for some living, OR, take what you might already know, and GET work being valuable to another in the field of audio or other media related to what you do. Be of VALUE to others before asking them to be of value to you! Good one Johnny. Practical application. Amen Brother! I hope your Tinitus is better. I remember you having a lot of problems in that area. Glad to see you are still around. Whatever we can do can be applied. In my examples, more experienced writers teaming up and working with less experienced artists, or your example of learning the business and seeing where you fit in, speak to the overall endeavor. Find out what you do best, find some people who need you and apply your skills. Take it carefully and explore all options. I'd highly recommend SongU for your purposes, Brian. I've been a member there for two years. They are fine people, well connected and have the best coaches anywhere (for a lot less!). You can learn a ton, get to know talented people who are in the same boat, follow courses with live feedback/ interaction and have your songs mentored the best way possible. They also have pitch opportunities, so all your mentoring needs is all there in one great package. Your story about the schoolteacher from Wisconsin is quite inspiring. Could she be the air apparent to Donna Fargo, who I believe was still a schoolteacher when she struck gold back in 1972 with "Happiest Girl in the Whole USA", which was not only a major country hit but a pop hit as well, as was her followup "Funny Face". Later she developed MS and disappeared from the scene. SongU sure can help you improve your lyrics. They offer a free trial. I'd also recommend checking them out if you haven't yet if improving your lyrics is your main and current goal. There are actually quite a few people that do not live in Nashville but have pretty direct connections there. Julie Moriva has a lot of attention right now because of her involvement with Meghan, who came in second on the VOICE recently. That has happened a great deal with me. People that I meet, who are not artists, hook up with artists and a lot of things absolutely can happen. Another of my favorites is Matt Casey, from Boston. Matt was making regular trips here but wanted to 'do more." I introduced him to two artists here and those two introduced him to about ten more. Matt lives in Boston so decided to start his own Facebook group. Two years later there are 250 people in his group, around half of those are artists. He does charity shows both in Boston, Nantuckett and in Nashville. He rarely has less than 25 artists per show and more wanting to play. He won the NSAI song contest last year and now has developed his own publishing company. He probably has around 150 songs with various artists, most of those including them on their CD projects, web sites, and getting publishing opportunities. Not bad for a guy who doesn't play an instrument or sing a note. But there is an element that has to be done face to face, and Matt had meetings with all of the people in his Facebook group. 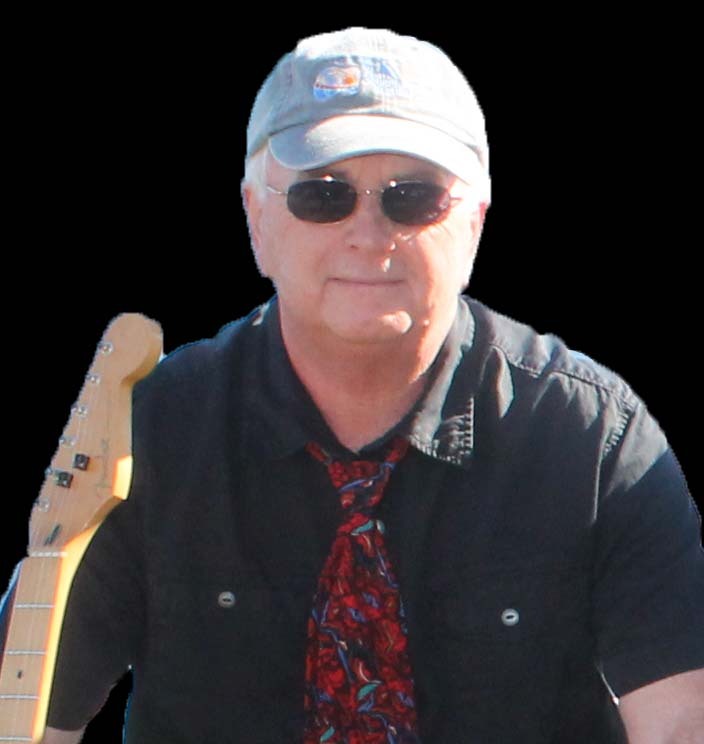 He has facilitated a lot of people, brought Nashville artists to the New England area, interacts with multiple song pluggers and publishers and in the thick of things. And he has raised a great deal of money for charity. He helps people with fundraising for medical care. To me, that is what all of this is about. But that is just me. My demos are just with simple instrumentation and I get them done for around $180 or so, a far cry from the figure one of you had quoted. I may upgrade one or two of them someday, but for now my priority is to get as many of my lyric demoed as possible. Of course, barring a big lottery payout I will probably be dead before I can get them all done, as the amount of lyrics is now into four figures. Hey Beechnut, if you do the demos yourself, i.e., instrumentation & vocals, it would be more advantageous to purchase one of the DAW's for your computer. After the initial cost, you could make all the demos you want. I used to spend $300 -$ 400 per demo before I purchased a music workstation. Now I record daily. You can probably purchase everything you need for under $1K. Try Musician’s Friend or Sweetwater Sound for deals. Good luck! I hope you can get as many demos done as you can reasonably afford. It is nice to hear your lyrics brought to life. Just do it knowing that you are doing it for your own personal enjoyment -- and that is worth the price of admission.